As flu season kicks off, the SHSU Student Health Center and the School of Nursing will work to keep SHSU students, faculty and staff well with its yearly administration of the seasonal influenza vaccine. Beginning on Monday and Tuesday (Oct. 7-8), free flu shots will be given to currently enrolled students on the main campus, from 8:30 a.m. to 4 p.m. in the Lowman Student Center Mall Area and the College of Humanities and Social Sciences Building Plaza, on the east side of the CHSS Building. In the event of inclement weather, the stations will be moved indoors to the LSC Atrium and the CHSS Lobby. On Wednesday (Oct. 9), health center and nursing professionals will be at the SHSU—The Woodlands campus, administering the vaccination, for free, to currently enrolled students, faculty and staff. 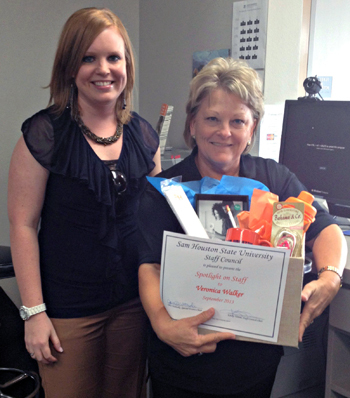 In order to receive a flu shot, students and The Woodlands Center employees must present their Bearkat OneCard. “We are offering the vaccines at different locations this year to provide easier access,” said Sarah Hanel, SHC director. “We have a large student body that cannot always access a central area on campus because of time and parking constraints. We hope that providing two on-campus locations will allow more students to get vaccinated. “In addition, we are hosting a flu clinic at TWC to provide convenient access to off campus SHSU students, faculty and staff,” she said. Those receiving the shot are asked to come prepared with sleeves that can be easily adjusted to expose their shoulder in order to speed the administration process. It is highly recommended that employees who are pregnant or nursing consult their treating physician prior to obtaining the vaccine. The Student Health Center is not responsible for any adverse incident related to the administration of the flu vaccine, Hanel said. Employees on SHSU’s main campus will be allowed to receive the free vaccination Oct. 22-23. For more information about the influenza vaccine or the administration process, visit shsu.edu/~uhc_www or call 936.294.1805. Emil Garza, the head of the security threat group management office at the Texas Department of Criminal Justice, will discuss gangs in Texas state prisons as part of a special presentation on Tuesday (Oct. 8) at 6 p.m. in the Criminal Justice Center Hazel Kerper Courtroom. Garza’s office is responsible for the safety and security of staff and offenders in the department’s 111 units housing more than 150,000 offenders. Through intelligence and analysis, the unit provides oversight, training, and technical support to unit level staff on gang-related issues. The group also works closely with the TDCJ Fusion Center and law enforcement agencies to share information on gangs in and outside correctional facilities. Garza has worked with TDCJ since 1994, training criminal justice professionals at the local, state and federal levels and advising law enforcement agencies on emerging trends. He also provides anti-gang presentations to public and private schools and briefs the Texas Legislature and out-of-state and international law enforcement agencies on gangs. In addition, he testifies as an expert witness in criminal courts on gang-related matters. The TDCJ recognizes 12 security threat groups in prisons, and the level of violence associated with gang activity can be demonstrated by top offenses committed by members of significant gangs incarcerated in Texas prisons, according to the Texas Department of Public Safety’s 2012 Gang Threat Assessment. More than half of the gang members are serving offenses for violent crimes, including robbery (25 percent), homicide (14 percent), and assault/terroristic threat (12 percent). 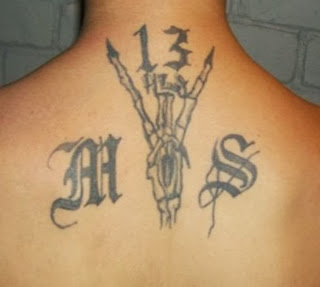 To control gangs, the Texas Department of Criminal Justice uses several strategies, include limiting visits or contacts, restricting participation in academic or vocational activities, eliminating work assignments, restricting movement, placing offenders in administrative segregation, providing notice to law enforcement agency upon release, or addressing issue at parole. The TDCJ also offers a program to help offenders get out of gangs, called Gang Renouncement and Disassociation Process, which requires offenders to renounce their membership and affiliation in writing and undergo an investigation to verify those actions. Students looking to go from the classrooms of Sam Houston State University to the classrooms of one of the thousands of schools across the state will have an opportunity to talk with some of those schools on Wednesday (Oct. 9). The Fall Teacher Job Fair will bring representatives from approximately 55 schools and school districts to campus from 9 a.m. to noon to discuss full-time teaching positions with SHSU students and alumni. The event will be in the Bernard G. Johnson Coliseum. “The Fall Teacher Job Fair provides aspiring teachers and administrators a wonderful opportunity to network with recruiters from area and statewide school districts,” said Mitch Parker, Career Services marketing and events coordinator. Recruiters from districts from Texas’s metropolitan areas, as well as smaller school districts and a few private schools, will be available, including Bryan, College Station, Conroe, Galena Park, Killeen, Mesquite, Pasadena and Spring, among many others. In addition, agencies such as the GETCAP Head Start, the Teacher Job Network and Education Service Center Regions 4 and 6 will be available to discuss other employment possibilities, and the Texas Teachers Alternative Certification program will be at the fair to talk with non-education majors about potentially becoming a teacher. For more information, contact Career Services at 936.294.1713 or careerservices@shsu.edu, or to see a complete list of participating school districts, visit the Jobs 4 Kats Web site at myinterfase.com/shsu/student. SHSU student musicians and a guest performer will go “solo” for a “trio” of concerts scheduled for the week beginning Wednesday (Oct. 9). That day, the SHSU Horn Studio will present its fall student solo recital at 7:30 p.m. in the Gaertner Performing Arts Center Recital Hall. “This recital features the students pursuing a music degree performing works from Corelli and Handel (Baroque composers) through 20th-century works that utilize all stopped and three quarters stopped sounds—types of muting done by closing off the bell,” said Peggy DeMers, SHSU horn professor. At 8:30 p.m., the SHSU Horn choir will present a short preview of the concert they will perform at this year’s Texas Music Educators conference in San Antonio. “The music in this shortened concert is for multiple horns, four to eight (at a time), performed by the 16 of the 19 hornists at Sam Houston,” DeMers said. Admission to both is free. On Thursday (Oct. 10), award-winning guitarist Joseph Palmer will perform for the first time for the university community at 7:30 p.m. in the GPAC Concert Hall. Described as a “classical guitar musician,” Palmer will play pieces ranging from eighteenth-century to more modern works from such composers as Franz Werthmuller, Manuel Ponce and Alberto Ginastera. Palmer completed his undergraduate degree at Columbus State University’s Schwob School of Music and studied under Adam Holzman at the University of Texas at Austin, where he has received his Master of Music Performance degree and is currently pursuing his Doctor of Musical Arts degree. Starting guitar at age 15, he has since won top prizes in 14 international guitar competitions across the nation and has performed in master classes for many of the world's leading concert artists. Alejandro Montiel, SHSU adjunct guitar instructor who has known Palmer since he was a master’s student at UT, said it has been a real privilege to see Palmer grow as an artist. The concert will be approximately an hour and a half, with a small intermission. Tickets are $15 for general admission, $12 for senior citizens tickets and $5 for students and can be purchased at shsu.edu/boxoffice or 936.294.2339. For more information, contact Montiel at axm025@shsu.edu or 936.294.3427. While Gen. Sam Houston is well known in Texas as a politician and soldier, those outside of Texas may not be as familiar with Houston’s accomplishments, which also include serving as a congressman and governor for both Texas and Tennessee. PBS will explore Houston’s life in their upcoming “Genealogy Roadshow,” sharing, and perhaps introducing, his exploits, as well as the Sam Houston Memorial Museum, with a national audience for their Oct. 14 episode. The new series, which premiered Sept. 23, combines “history and science to uncover the fascinating stories of diverse Americans.” The four-episode series airs every Monday at 8 p.m. The show selected Houston and the museum as a featured segment after filming in Austin. When one of the people being interviewed for the Austin segment mentioned a relationship to Houston, PBS decided to learn more about Houston, calling the museum for answers to their questions. “Even though the connection is a distant one, PBS wanted to highlight such a notable character like Gen. Houston,” said Michael Sproat, curator of collections at the Sam Houston Memorial Museum. PBS visited the museum grounds in September, spending an entire day filming the grounds and buildings, as well as interviewing a historian. “The film crew took tons of still pictures of artifacts, exhibit panels, objects in the museum’s collection, rooms within the historic houses, and antiques throughout the museum,” Sproat said. Those interested in watching the segment can tune in through the Houston PBS affiliate KUHT-TV channel 8. For more information about “Genealogy Roadshow,” visit pbs.org/program/genealogy-roadshow, or for more information on the museum or its role in the process, contact Sproat at 936.294.4895 or sproat@shsu.edu. “Rising Stars” are selected by a task force of TSCPA executive board members after being nominated by colleagues or friends. More than 40 nominations were received for 2013. “This is an accomplishment that shows how the staff at Sam is setting the bar high and casting a good light on Sam Houston State University,” said Jim Gross, director of financial analysis and planning at SHSU. At SHSU, LeMay manages the offices of general accounting, financial reporting, disbursements and travel services, payroll, research administration and bursar. 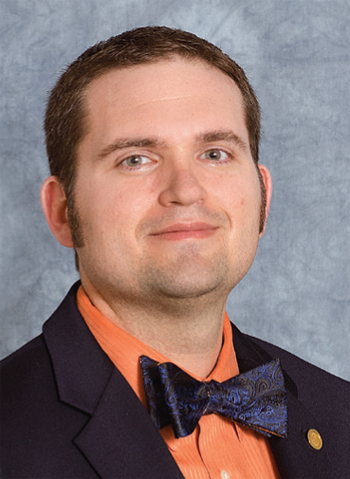 Since joining the staff, he has established himself as a key player and accomplished several major initiatives with the university’s new ERP system, both directly related to his department and campus-wide, according to Paige Smith, associate vice president for financial services at SHSU. LeMay is considered a leader who gets involved on campus and with internal and external organizations, including a number of professional associations. He also invests in individual students he meets by answering their questions and helping them navigate through college, Smith said. In addition, he has participated with TSCPA as a member of the society’s relations with educational institutions committee. He has been described as creative, dedicated, energetic, smart, and much deserving of recognition as a TSCPA Rising Star. Walker, an SHSU alumna, began her career at SHSU as a student, working as a student assistant in the Physical Plant for two years while attending classes. For the past six years, she has worked in Public Safety Services’ parking and transportation and said she enjoys coming to work every day, adding that UPD is a great place to work and has great people to work with. Walker enjoys helping people as clerk and that customer service is her No. 1 priority, she said. “Whether it is selling a permit, giving directions or listening to someone with a citation, there is never a dull moment around here,” she said. Walker is a life-long resident of Huntsville and is married to Sam Walker, who also works for SHSU. Her hobbies include refurbishing furniture, painting, working in the yard and garden and sewing. She also loves spending time with her family.